Image Credit & Copyright: Howard Hedlund & Dave Jurasevich, Las Campanas Obs. 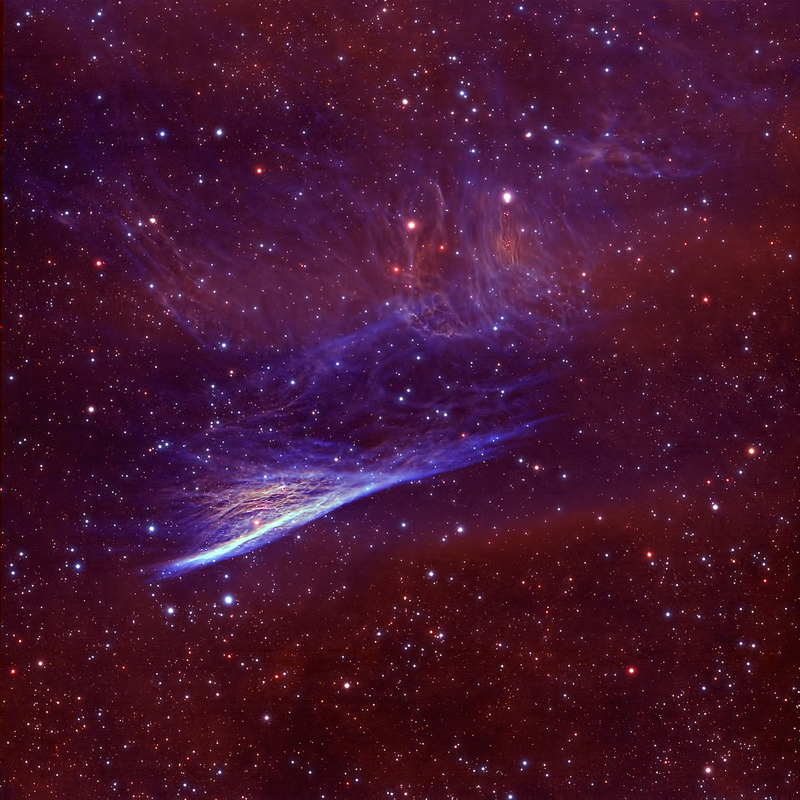 Explanation: Moving from top to bottom in the frame near the centre of this sharply detailed colour composite, thin, bright, braided filaments are actually long ripples in a cosmic sheet of glowing gas seen almost edge-on. The shock wave plows through interstellar space at over 500,000 kilometres per hour. Catalogued as NGC 2736, its elongated appearance suggests its popular name, the Pencil Nebula. 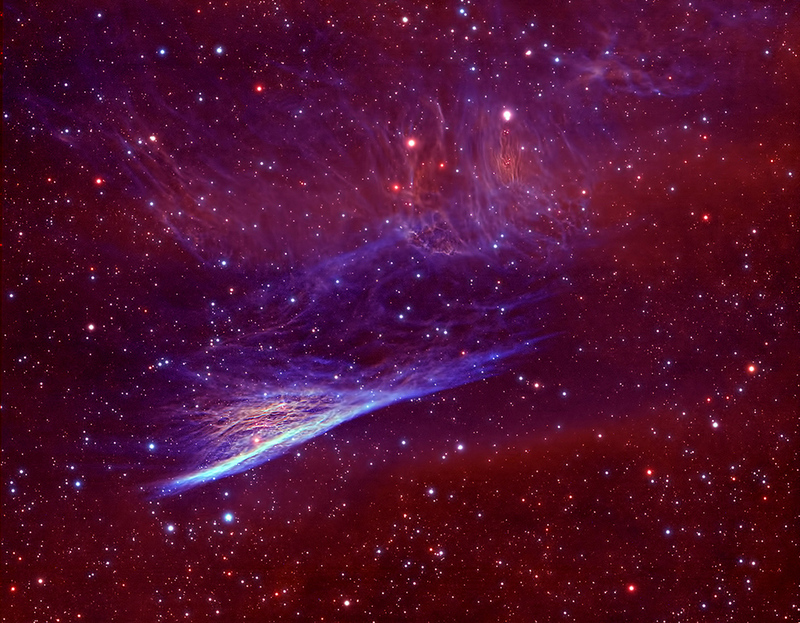 The Pencil Nebula is about 5 light-years long and 800 light-years away, but represents only a small part of the Vela supernova remnant. The Vela remnant itself is around 100 light-years in diameter, the expanding debris cloud of a star that was seen to explode about 11,000 years ago. Initially, the shock wave was moving at millions of kilometres per hour but has slowed considerably, sweeping up surrounding interstellar material. In the narrowband, wide field image, red and blue-green colours track the characteristic glow of ionized hydrogen and oxygen atoms.